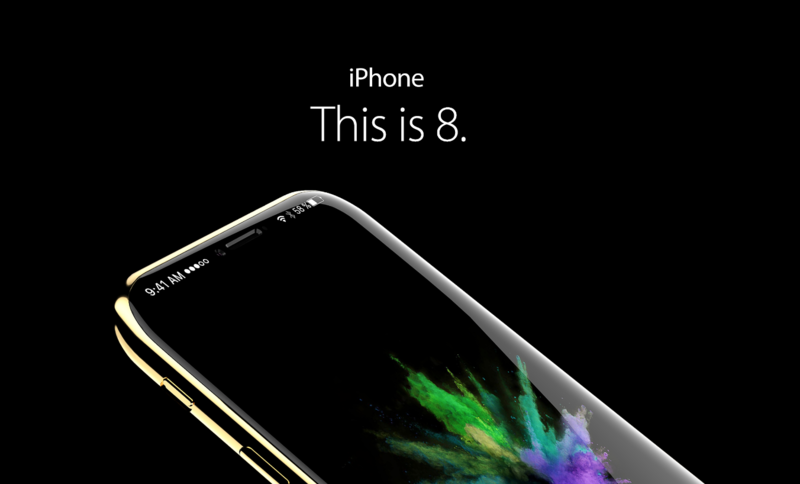 There have been a lot of rumours and concepts around Apple’s upcoming iPhone 8, however, we have yet to see a concept that is truly realistic (in terms of what Apple would actually do). The latest concept was imagined by Handy-Abovergleich and is definitely the most realistic so far. 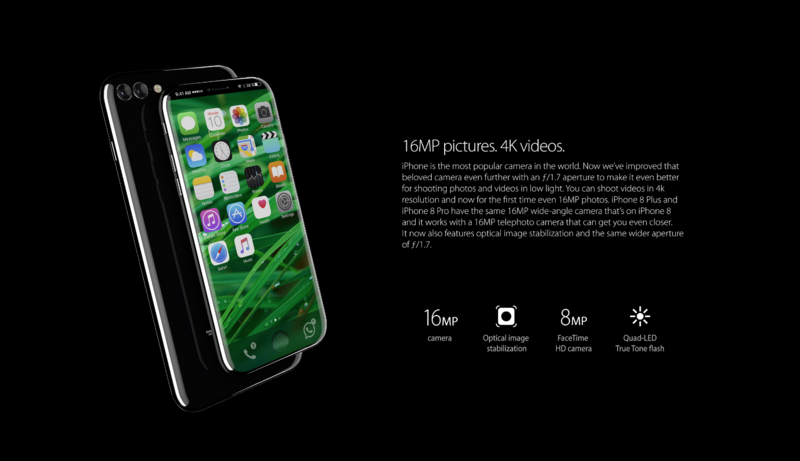 The iPhone 8 may get the biggest camera and performance update of all time. Rumours point to a dual-lens camera system with 16 megapixels each and will be able to record 4k video. Several reports also point to a new f1.7 aperture and optical image stabilization. As per the OLED panel rumours, the next iPhone may come with a completely borderless AMOLED display in the front, given a wide colour gamut and a deeper contract. 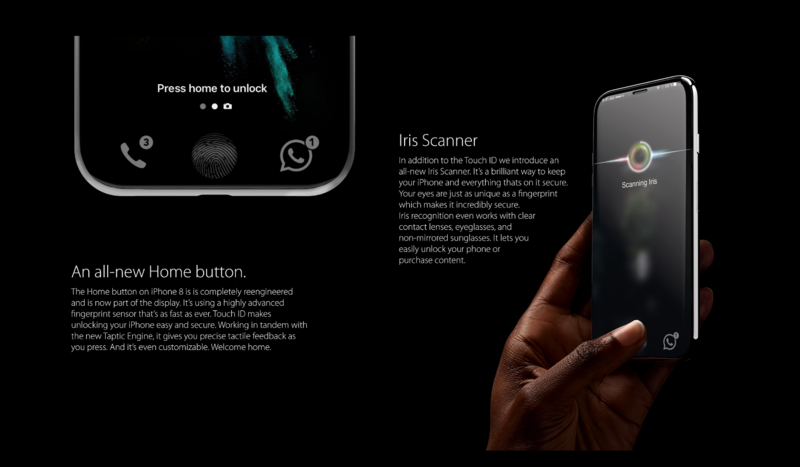 The iPhone 8 will also reportedly come with a whole lot of new features and functions, with an iris scanner being one of the main new ones. The iris scanner allow users to unlock the device and verify iTunes purchases, much like you can do with Touch ID right now. 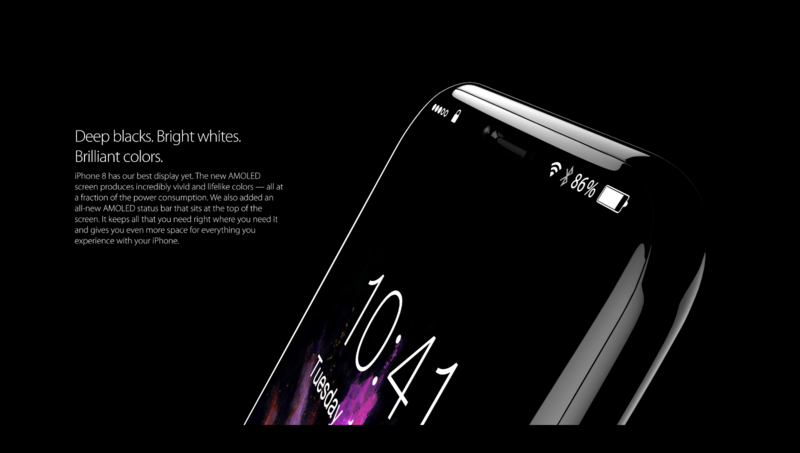 The home button will reportedly be built with 3D Touch technology and may be integrated directly into the device or display. 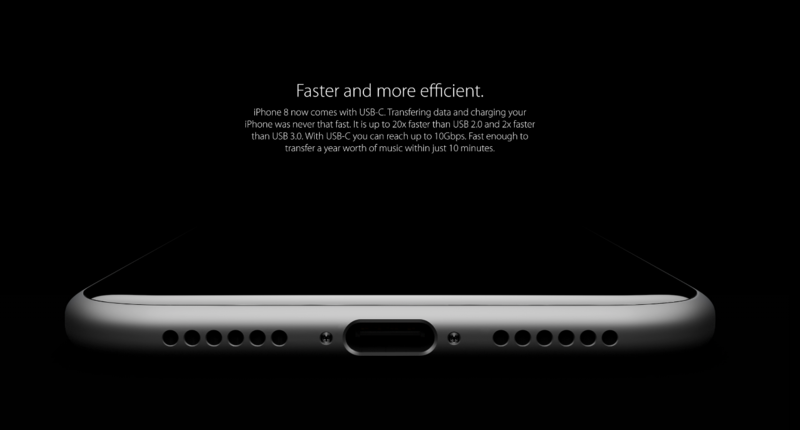 Some reports have suggested that Apple will be moving away from Lightning to USB-C for the charge and sync iPhone cable. 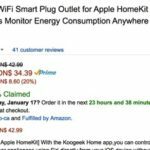 This will also allow for easier connectivity with Apple’s new MacBooks. 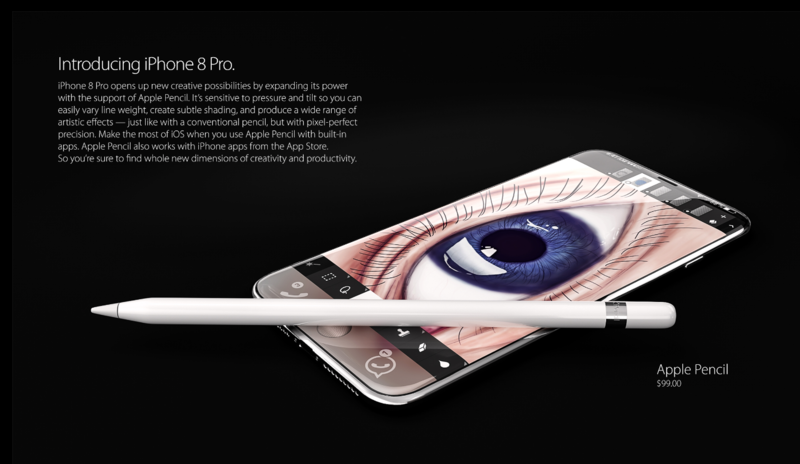 The concept also imagines an iPhone 8 Pro that will feature a massive 5.8-inch display and will support the Apple Pencil. This would be a welcome addition to developers and artists. 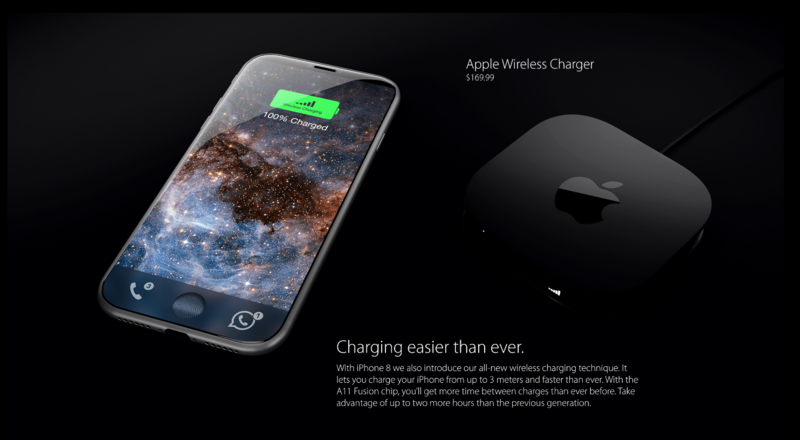 Lastly, the iPhone 8 will reportedly feature a glass back that will allow for wireless charging through an Apple power transmitter. The concept images shown above are based on a lot of rumours and assumptions made over the past several months, so the actual device’s specifications may be different.